W00t! 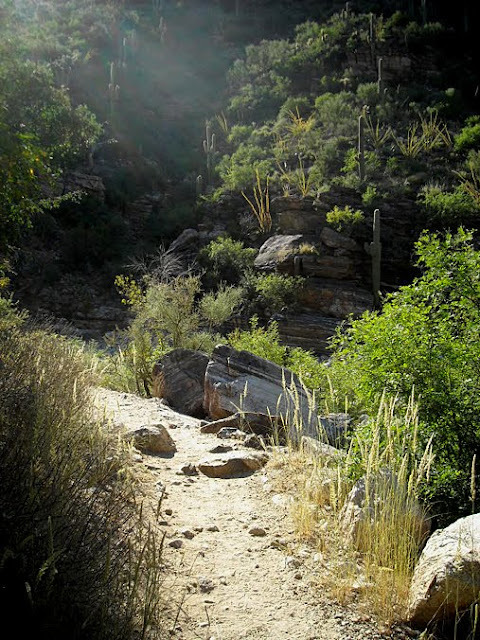 Just found out that there's a Sabino Canyon Blog [Here on Blogger]. With how vividly the canyon captures the beauty of the desert, it's no surprise how many people praise the area. If you're passing anywhere near Tucson, Arizona, then don't miss the chance to love up some o' this rocky, thorny, blasted goodness.